Hello Doodlebug fans. 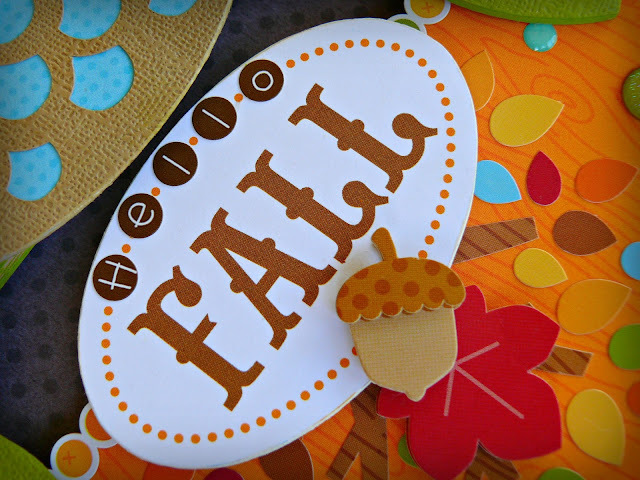 Don't you just love the new Fall Friends collection? It's full of fun woodland critters, gorgeous colorful leaves and adorable whimsical patterned papers. The project I created uses all of these elements and I love how it turned out. As you can see I made another wall hanging, this time for Fall. 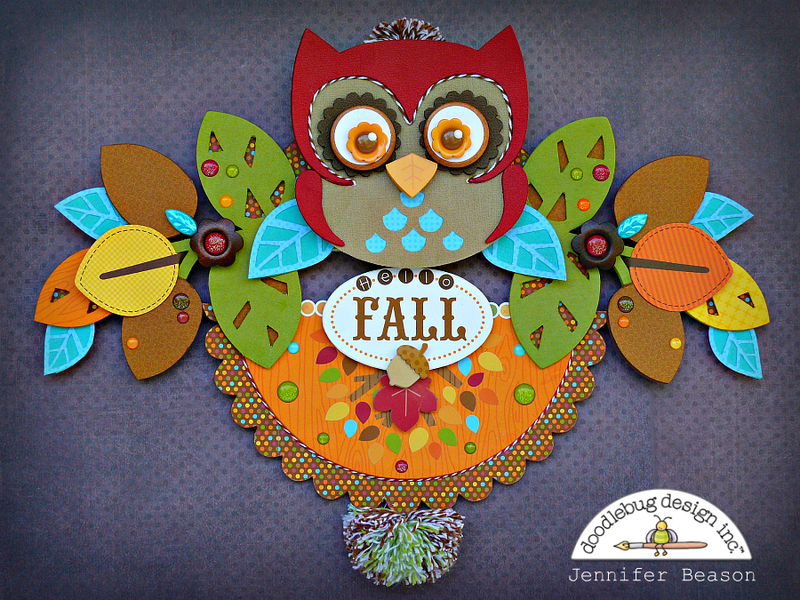 The owl was cut out of cardstock with my Silhouette, then mounted to chipboard. I added some brown twine above his eyes and also used twine to make a pom pom crest, for the top of his head. 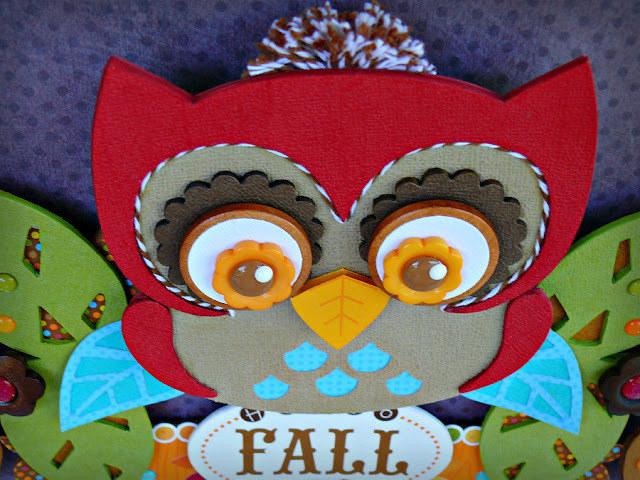 Layered buttons, cardstock and sprinkles were used to create the eyes and a trimmed leaf Doodle Pop was used to create the beak. Two leafy chipboard branches were covered with patterned papers and cardstock from the collection. 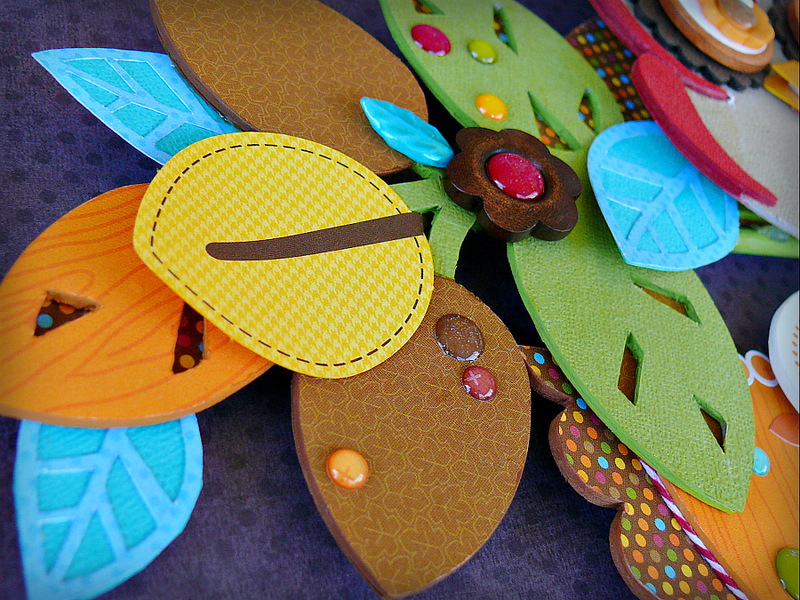 Then additional leaf die-cuts were added. The leaves were then embellished with glitter and berry sprinkles. For the bottom section of the wall hanging, some half circle scalloped chipboard pages were used. 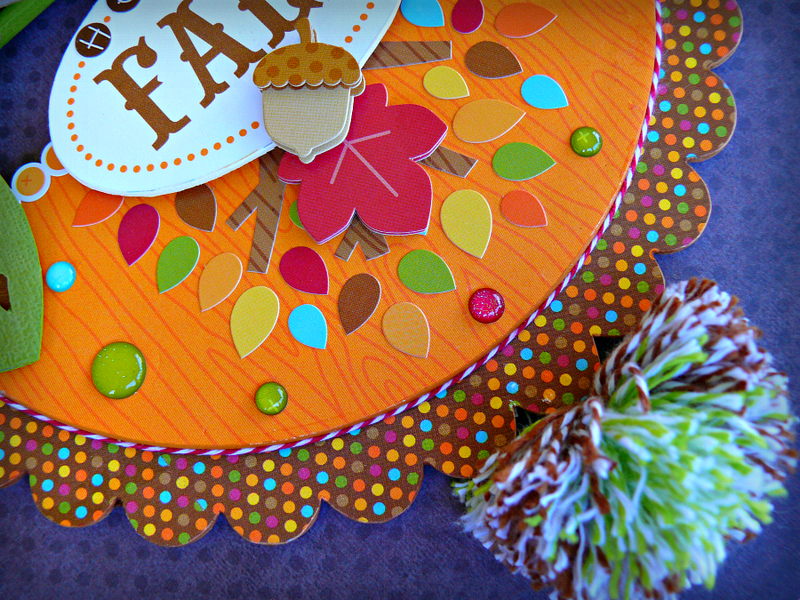 After covering the chipboard with patterned paper, a border and tree sticker were added along with glitter and berry sprinkles. More twine was used to create a large pompom and additional twine was glued around the edge of the half circle page. This is so stinkin' cute Jennifer!!! So cute Jennifer, I really love all your projects! Clever and so fun!!! 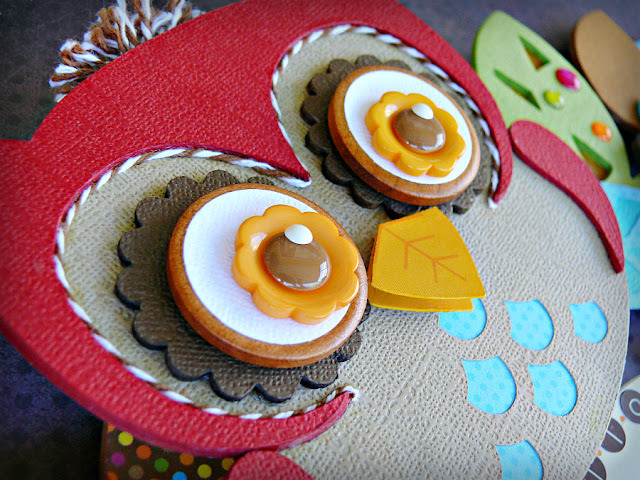 This owl decor is wonderful and you have done a beautiful job of showing off this new collection!! Gorgeous work!! Stunning project, love the gorgeous papers you used! This is adorable and love the attention to detail!